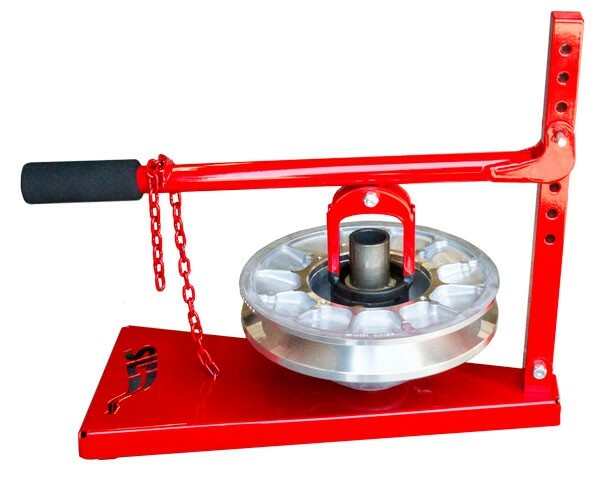 SLP Clutch Press Tool has been widely accepted as the most efficient clutch compression tool available. This revolutionary drive and driven clutch servicing tool is designed specifically for compressing and holding springs for ease of assembly and disassembly. SLP Clutch Press Tool has been widely accepted as the most efficient clutch compression tool available. 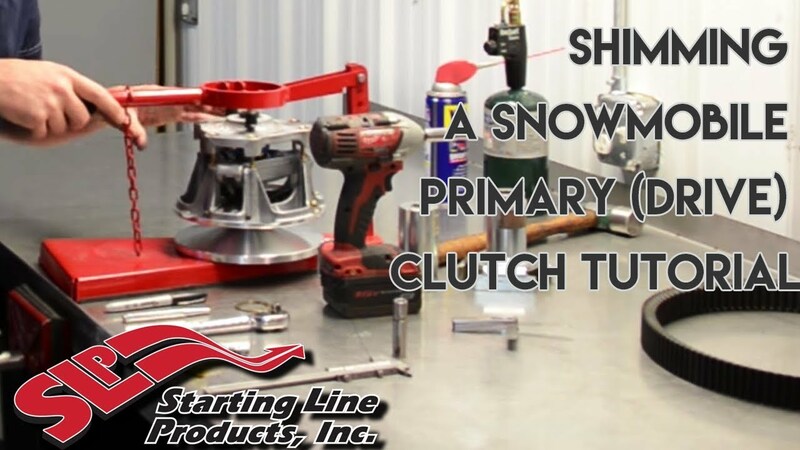 This revolutionary drive and driven clutch servicing tool is designed specifically for compressing and holding springs for ease of assembly and disassembly. This tool is specified in many factory repair manuals as a required specialty tool for clutch compression. Wrestling with the clutch or need for a second person to help is now history. 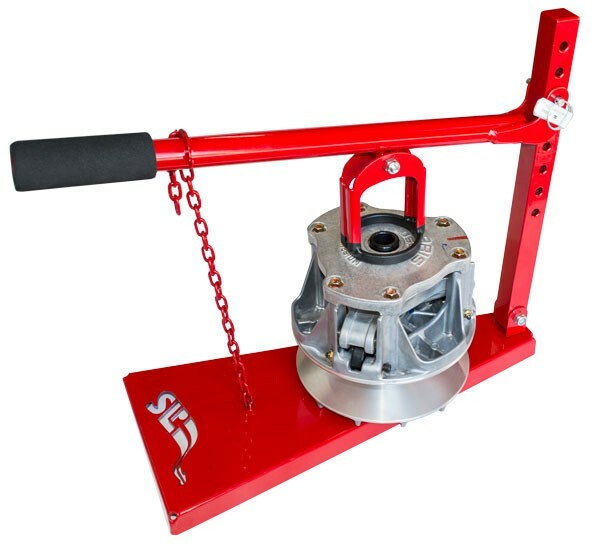 Made compact, the SLP tool can be used for field testing or production clutch repair on the shop bench. High quality metal construction with powder coated finish provides a quality, functional tool that is extremely durable. Allows disassembly and assembly of most Rapid Reaction Secondary Clutches without any adapters.